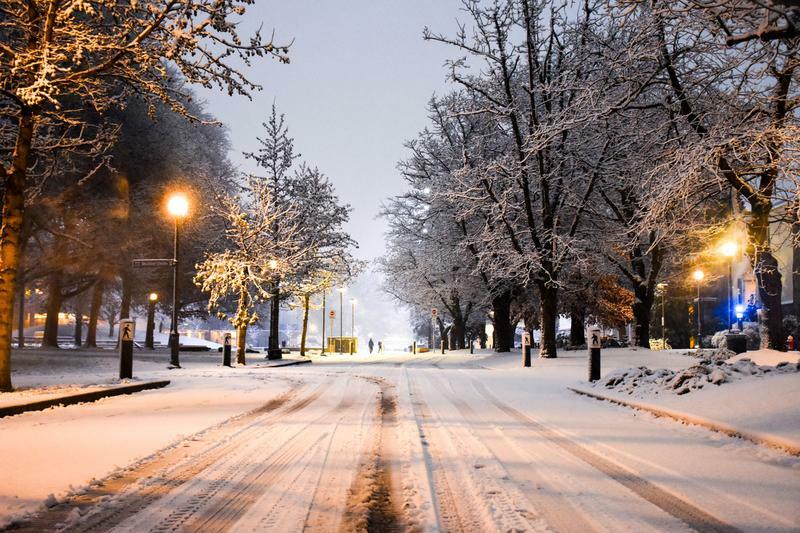 UBC Point Grey has cancelled almost all February 12 classes as weather conditions continue to worsen in the Metro Vancouver area, crippling transit and lengthening commute times. The campus was originally open for classes on February 11, as announced at 6:20 a.m on the school’s website. But UBC cancelled yesterday's evening classes as Environment Canada issued a second snow warning for the Metro Vancouver area. Later in the evening, the school announced that it would also cancel all February 12 classes beginning at 8 a.m. and continuing until 6:30 p.m., all courses inclusive. A decision on whether to cancel February 12 evening courses — those that begin at or after 6:30 p.m. — is pending and will be announced by 12:30 p.m. today. The first warning came yesterday when approximately 10 centimetres of snow hit the region — enough to cripple Translink services to school, which over 50 per cent of riders rely on to access campus according to UBC’s 2017 Transportation report. Many students reported difficulty in making it to class today. Does this mean busses are actually making it up the hill? As much as I love catching up on reading, I don’t want to be stuck at Alma and 10th for 2 hours - again. Later, Translink cancelled some services on buses including the 99 B-Line, the 43, the 25, and the 480. As of Tuesday morning, all bus services are operating but reports of cancellations and delays continue. Environment Canada forecasts an additional 15 to 25 centimetres expected for the City of Vancouver by Tuesday afternoon. The snow is expected to taper off later on tomorrow. So far, those include the Student Recreation Centre, the Athletics and Recreation Centre (ARC) and Ponderosa studio, which will all be closed until at least 6:30 p.m. tonight. Essential services — like food services, heating and campus security — will continue to operate. The UBC Board of Governors (BoG) meeting, which was supposed to be held on campus tomorrow, will now be conducted via teleconference. The open session will still be available to the public through an audio livestream on the BoG’s website. Update, 6:44 p.m.: A previous wording in this article indicated that all service may have been cancelled when only some services had. The wording has been amended to be more specific. Update, 7:09 p.m.: Updates about the SRC and ARC closure added. Update, February 12 6:56 a.m.: New information added on essential services.